God is truly amazing. He is putting the pieces of my puzzle (life) back together. I have been on a deep healing journey for about fifteen years. Through that, I have received a lot of healing from childhood wounds and adult wounds. Some of these wounds were mountains and boulders with cliffs in-between. The cliffs were so deep. I was terrified to see what was there because it involved pain and emotions I had shut off for years …. decades. But, God began, fifteen years ago, sending Godly mature women to come along side of me. These women began to help me through my healing journey. They were each a piece of my puzzle. My healing was a piece of my puzzle. My learning through this journey was a piece of my puzzle. The puzzle that is now being put in place as I begin to walk more in my calling. It is amazing, exciting and unbelievable. I am in awe of God and where He has brought me. I never thought this time would come, although I sensed it along the way though. Through this journey, a passion began growing inside of desiring to help others know the freedom I was beginning to have. A passion to give back what God was giving me and a passion to pour out in others just like those women had poured out in me. So much love, patience, kindness, joy, etc. There were some other pieces to my puzzle. But, the most important piece was Jesus. This was asking Him into my heart, to forgive my sins, and be my Lord and Savior. That was the beginning for me. That was in 2003 and my life has never been the same since. This healing journey was not easy and at times still not easy. But with healing occuring along the way, it began to be easier to withstand the hard times and/or the times when I struggled. What I am hoping is that those that read this will be encouraged that no matter what you have been through or are going through now, God can free you. He can use what you have been through to help someone else and give you the desires of your heart. I have a friend, actually, the first woman God put in my path to help me heal, and she would say, “I can’t help you, but God can. If you don’t quit, you win.” She would say that to me all the time – “If you don’t quit, you win.” It began to annoy me, but it became true in my life and I have seen it come true in so many others. If you need healing, I encourage you to make an appointment at The Inheritance House for some in-depth prayer and see what the Lord will and can do. If He can do it for me, He can do it for you. This is just not words I am writing on this page, HE CAN HEAL YOU. It is truth. I am living proof of that. October 23, 2018 December 4, 2018 by theinheritancehouseLeave a Comment on No Shame. No Accusation. Whose Voice Are You “Not” Listening To? October 9, 2018 December 4, 2018 by theinheritancehouse2 Comments on Whose Voice Are You “Not” Listening To? You may think this is a strange question, “Whose Voice Are You “Not” Listening to?” I would have thought that ten years ago, but I get it now. It began in my early forties. My husband, my kids and I were on the way to the beach, on a road I had traveled many times before, when out of nowhere, I had a panic attack. These attacks continued over the next three years, to the point where I could not travel twenty miles from my home. No more vacations with the family. No more traveling with the kids. It all came to a halt. I felt like I was losing my mind and decided to get some help. I learned I had buried painful memories deep inside. I did not know they were even there. They were buried alive and never processed. They were still living inside of me, and I was not even aware of it. No one knew, not even me. I was in need of healing. One day, I was walking through Michael’s craft store. I began to notice certain items. These were items used for scrapbooking and were very tiny. I began to pick ones that stuck out to me. I was giving a voice to something inside. I picked out a monopoly board game, a teddy bear, a little girl doll, a birthday cake, books, white felt and a few other items. I then found a 7” x 5” x 5“ wooden box without a lid. I began to create a bedroom inside of this box that would have things that a little girl may want in her room. I put the white felt down for carpet and decorated the room with all the items I bought. I even decorated the sides of the box as if they were walls. I was giving myself a voice. The next thing I did to give myself a voice was I cut out pictures and words from magazines. I flipped through a magazine and cut out whatever stuck out to me. I then put all these things I cut out in a pile and began to look at them. One by one I pasted them on a poster board. I was amazed at the end result. There was no order when I was cutting out the items from the magazines but when I began to paste them on the poster board, a story began to take place. I was giving myself a voice. This was the beginning of giving myself a voice. Along with this beginning of giving myself a voice, I began counseling and then moved into inner healing prayer. The counseling had some positive effects but was not able to get to the bottom of the “Whose voice am I “not” listening to” stuff. I started inner healing prayer and the real healing began. This was not an overnight fix. I began to trust those God put in my path to help me through this season of inner healing. I began to process my inner world with Jesus and those that l began to trust. This began my road to freedom. Do you have any “Whose voice are you “not” listening too”? Do you feel stuck or triggered in areas of your life. I did. But through inner healing a whole new world opened up for me. I am now able to share my story and use my testimony to help others. If you are in need to hear your “Whose voice are you “not” listening to,” I encourage you to make an appointment at The Inheritance House to begin your road to freedom. So she did. This is when Adam and Eve’s eyes were truly opened—their eyes of the heart. “Then the eyes of both of them were opened and they realized that they were naked; so they sewed fig leaves together and made loin cloths for themselves. (And then) when they heard the sound of the Lord God moving about in the garden……the man and his wife hid themselves from the Lord God among the trees…. (Genesis 3:1-7 paraphrased). Adam and Eve felt shame in that moment and had to cover it in whatever way it could be covered. So they put on fig leaves and hid among the trees in the garden. Can you believe they actually thought they could hide from God? God knew what they had done. He knew where they were. However, he allowed them to respond. The Lord God voiced His concern to Adam, opening a discussion with him, never turning His back on the couple nor using selective listening, never judging or pointing the finger at them. The dialogue continues…Adam says, “The woman whom you put here with me—she gave me the fruit from the tree, and so I ate it.” –Genesis 3:12. Is this where blame first entered? We now call that a scapegoat, or perhaps putting the blame on someone else instead of being responsible for his own part of the falling out with God. True shame comes when we make a mistake and we feel guilty as Judith MacNutt describes it. It’s not about denying the shame or looking at it falsely. Her article continues to say, If we look at shame falsely, it becomes a tool of the enemy in the fear of being found out, exposed, rejected, abandoned, or deemed unworthy. Did God present these characteristics in His dialogue with Adam? No, He listened 100%–He was “all ears.” There was no condemning Voice. God had given His ruling of what tree they could eat and what the consequences were. It was the part in Adam, it’s the part in us, that one fleeting moment when temptation enters—when the enemy falsely whispers, and suddenly we are put in a position of blame and (sometimes) shame. In summary, I encourage anyone to bring these vices to the Lord. As a prayer minister, the supplicant enters a quiet time with the Lord. When invited, the Lord enters that memory of where the blame and shame entered in your life. 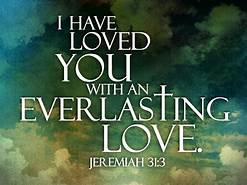 Then watch what happens…….It is brought to our attention that He has loved us from the beginning of time.